Peachtree Publishing Company, 9781561457939, 32pp. 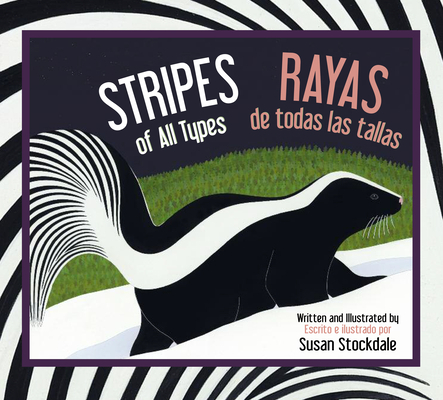 Bouncy, alliterative rhyme and gorgeous illustrations introduce readers to a wide range of striped animals. Susan Stockdale's bright, detailed paintings help show the many reasons stripes are so often found in nature. An afterword provides more information about each featured animal and where it lives, and explains the role its stripes play. Readers can test their knowledge of animal stripes with a fun matching game at the end.